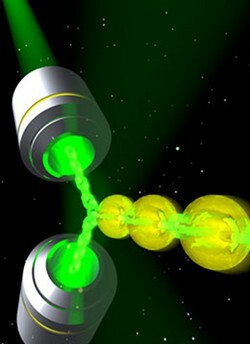 A team of British and Czech scientists say they have created a real-life “tractor beam,” like the kind from Star Trek, that uses a beam of light to attract objects, at least on a microscopic level. “Eventually, this could be used to separate white blood cells, for example,” Cizmar told BBC News. Cizmar says there`s much more work to be done, but he`s excited by the potential of this technology.